Fraser Construction is proud to be the bar sponsor at the taste of the season event Friday November 16th at our most recently completed job site, the University of South Carolina Hospitality Campus on office park rd, Hilton Head. Come check out the grand heavy timber atrium, teaching kitchen, and teaching bar – where students will learn mixology 101! 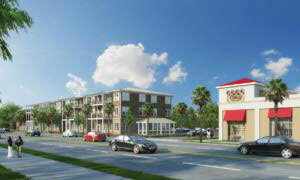 Fraser Construction and the USCB Hospitality Campus were featured in Construction Today Magazine. 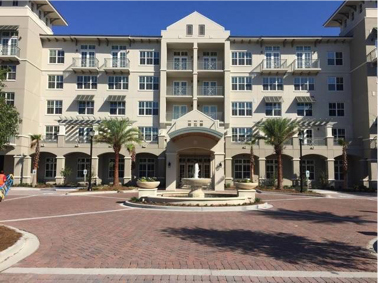 The USCB Hospitatliy Campus is a 40,000 SF, 2 story new college campus for the USCB system on Hilton Head for the Hospitaltiy Program. It features a teaching kitchen and Bar Lab, Classrooms, Offices, and an impressive high atrium will curtainwall and glulam wood beams. 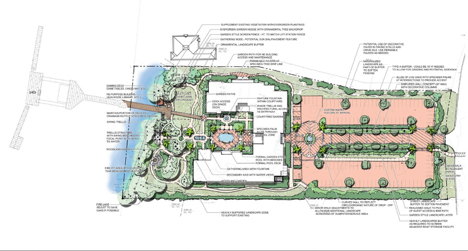 See Father Chuck Owens latest video pondering on the progress of Cross Schools. November 25 Cross Schools Construction Update from The Present For The Future on Vimeo. Renovation and Expansion August 7 from Island Rec on Vimeo. 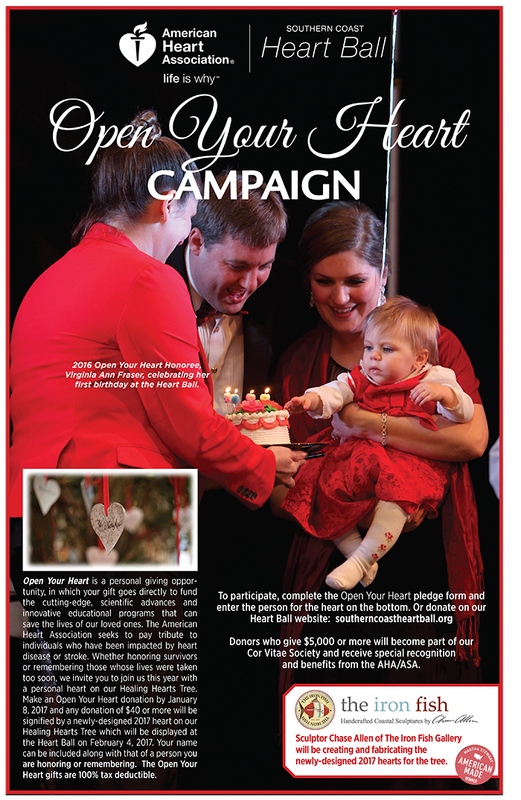 During the 2016 Southern Coast Heart Ball, the local chapter of the American Heart Association honored Jay, Laura, and Virginia Fraser as our Open Your Heart family and they graciously shared their story to the guests of the Heart Ball that year. At the 2017 Southern Coast Heart Ball, Jay and Laura were our Open Your Heart Chairs and helped us with the campaign to raise money for our mission. 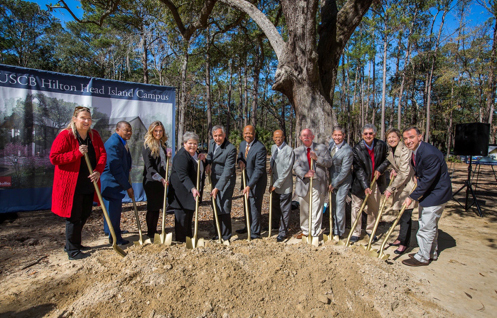 USCB officials broke ground on its planned new campus Friday, February 10 at 11 a.m. at 21 Office Park Road, Hilton Head Island, SC. 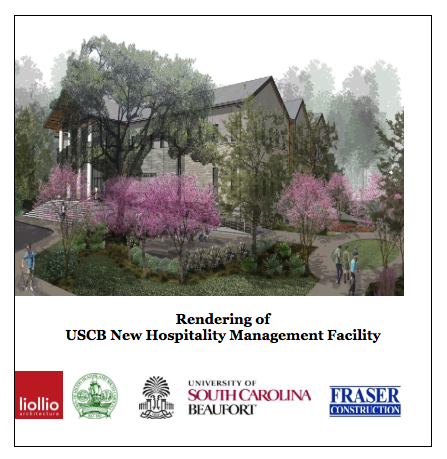 The planned facility will house USCB’s hospitality management program, including undergraduate education, a center for the hospitality industry and executive education, a teaching and learning facility for the Osher Lifelong Learning Institute and a civic gathering place. 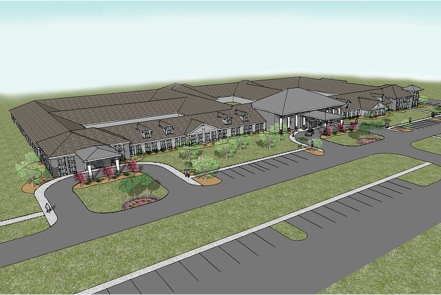 The facility will feature state-of-the-art classrooms, a demonstration kitchen, beverage laboratory, fabrication laboratory and classroom for distance education. 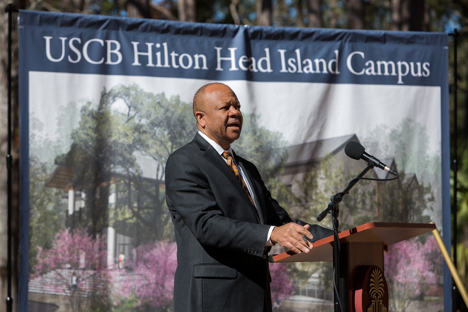 “The University of South Carolina Beaufort is continuing a 30-year partnership with Hilton Head Island, with the groundbreaking marking a significant milestone in our history, and we can’t be more pleased,” Chancellor Al Panu said.